Over the years I have successfully organized many group buys. 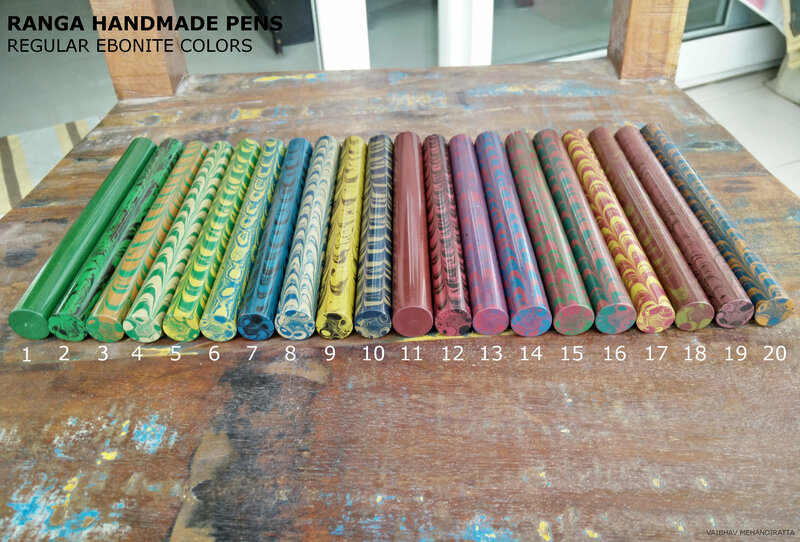 The main motive was to facilitate me and all other members to get these pens at a lower price. 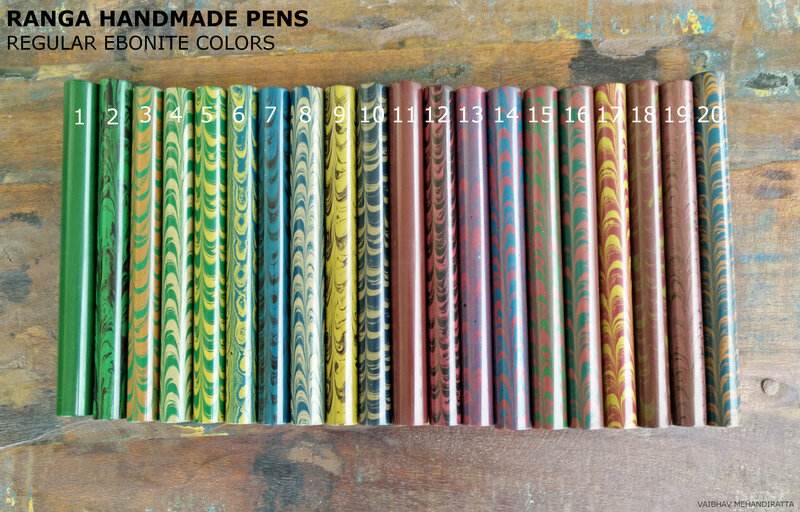 I have till date did 9 group Buys for Ranga Pens. And after almost 2 yrs this is the second time for Model 4C and this group buy sees the introduction of the Demonstrator version, unlike the last time. This Group Buy will be valid until 30th April 2017 only. Model 4 is with Flat top & Bottom with slightly peaked at the center (as per the image of demonstartor) whereas Model 4C is with Rounded Top and Bottom (as per the image at top). 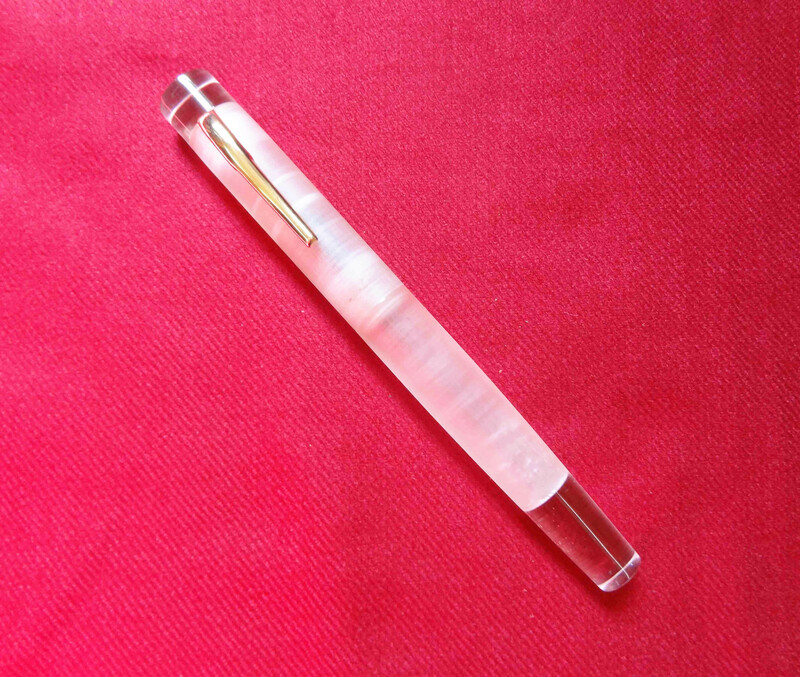 The pen is approx 150 mm in length. Thanks a lot Mr.Vaibhav Sir. As you said , Clear acrylic Version and Flat shaped version is new addition for this year Model 4C Group Buy. Thanks for the group buy. 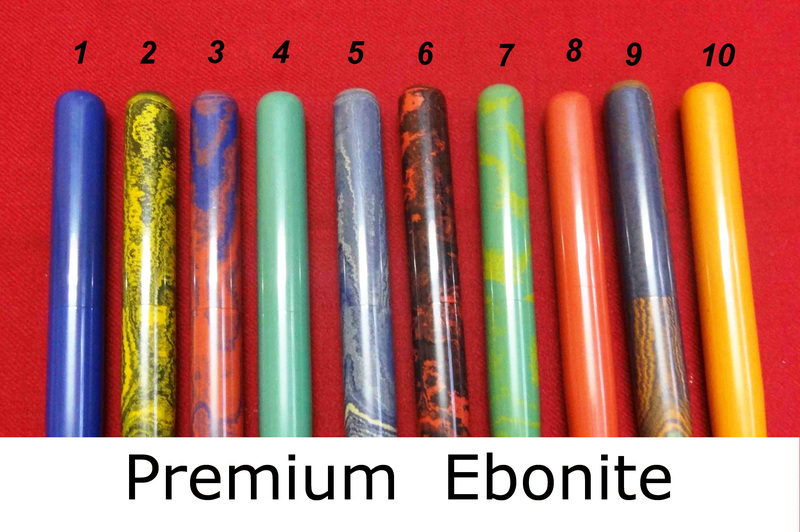 Can you post photos of the special ebonites with black specs ? Those pics are posted above.. He wanted to say that these rods have certain black specks.. When looked closely..
Hi, just wanted to check with the White/Blue swirl (Premium ebonite) is available? It's listed on this page, but not in the Google doc. [I also liked the look of the Rose Red / Blue ripple, but it looks like this isn't available either?] Thanks in advance! Form Submitted. Thanks for organizing another group buy! The new Model 4 Demonstrator is awesome! Thanks to Mr Mehandiratta and Mr Kandan for making this group buy available...and much thanks to M S Pandurangan for being the best pen turner in India, IMO. Ranga Pens are in the top 3 in my pen collection...excellent quality, beautiful writers, excellent prices...and you can feel the love in every pen they make. Keep your nose clean and your nib wet. Thanks again for your efforts to make this possible. Will have to decide on the color. Edited by S-V, 01 April 2017 - 18:04.